I have a not-so-secret obsession with sweets. Matt thinks it stems from the long line of dessert-loving relatives in my family. My lineage includes a grandmother whose family owned a bakery, another grandma who was a pie baking expert, and a grandfather who isn’t afraid to reprimand anyone who is “shy” with his ice cream servings. I’m always looking for new sweet treats to satisfy cravings. It can really be a challenge finding sweets that aren’t full of sugar. Thankfully, we have the most amazing website community. One of our generous readers sent a handful of recipes a few months ago – things like pancakes flavored homemade butter – the recipes were making me weak in the knees. 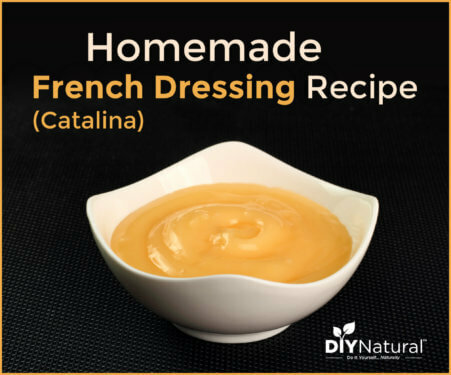 As I scanned the wonderful ideas she urged us to share with the diyNatural community, one caught my eye immediately – a “pudding” that is actually healthy! Heat water just until warm and add dates to water. Allow dates to soften in water for about 20 minutes. Strain dates from water and reserve water for step 3. Combine avocado, dates, maple syrup, cocoa powder, vanilla extract, and sea salt in a food processor. Process all ingredients on low, gradually adding 1 tablespoon of the water at a time. Blend until creamy. Makes about 5 cups. Lasts in the refrigerator for several days or freezes well for later. Pudding mixes on store shelves contain sugar, artificial flavors, thickening agents, preservatives, and even artificial colors! (It baffles me, doesn’t cocoa give enough color on its own?) You’ll find no such ingredients in this smooth, delicious alternative. Not only will it easily fill the dessert role, but there’s also no arguing that some of the ingredients provide beneficial nutrients for your diet. The main ingredient, avocado, is a nutrient dense food, containing nearly 20 essential nutrients and healthy fats your body needs. Cocoa powder contains antioxidants, and dates are full of vitamins and minerals, including magnesium, calcium, and potassium. Maple syrup is a natural sweetener containing antioxidants, and is a wonderful alternative to processed sugars. Another great perk of this “pudding” is that it you can still eat it if you have dairy allergies. You’ll be getting a nice helping of healthy fats with none of the effects of the typical dairy-based puddings. I’m so in love with this new chocolate “pudding.” I have enjoyed small bowls as a stand-alone dessert, and have even used it to dip fruit pieces into. Bananas and strawberries are delicious with this thick pudding, but feel free to experiment with others such as grapes or apples. Are you a dessert fiend like me? Forgo the sugary desserts and enjoy this maple syrup-sweetened “pudding” after your next meal! As I run to the freezer for one of my pudding pops, I’m sending out big screaming bunches of thanks to our reader, Danielle B! I’m forever indebted to you for this new healthy dessert that easily quells my chocolate cravings!!! Yum! I’ve been meaning to try a chocolate avocado pudding, and this looks delish. Thanks! just wondering, has anyone tried this with raw cacoa? I will definitely be trying this soon! We make a quick raw version with carob (roasted, not raw), dates, unrefined salt, and avocado. I love that you shared your version. Everyone should know about real food instant pudding! 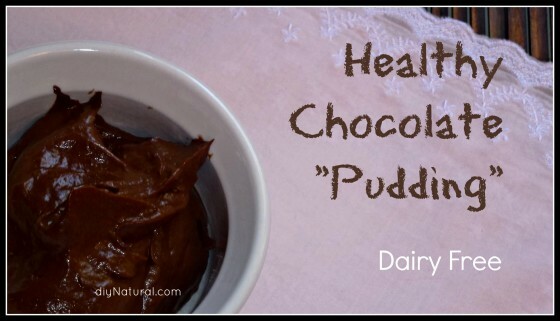 I love chocolate pudding and can’t wait to try this. Also, it’s great that it can be made into pudding pops. So much healthier than the alternatives out there. I think I actually prefer this pudding in the form of pudding pops! 🙂 And yes…a MUCH healthier alternative! Made this tonight and… YUM!!! Even my skeptical husband loved it. Even though I *want* to eat the whole batch, I know I shouldn’t… Will it keep in the fridge, or will it get yucky like avocados do? Thanks! Made this tonight. Holy cow. Never knew avocados could be THAT yum. It got me thinking too…I bet I could use a very ripe banana instead of the dates. Gonna try that next time. It would be cheaper, for sure. Thanks for sharing!! Yes, definitely try bananas instead of dates! Glad you loved the recipe! Holy macaroni! I cannot wait to make this. Being allergic to dairy makes consuming chocolate cakes and puddings very hard. I am so glad you tested this out. I am always looking for healthy alternatives to naughty food items. Apples have been my recent go-to sweet snack for the fall. And the apple chips I make can curve the sweets cravings … sometimes. 🙂 Thanks again! Can you tell me how many cups 3 avocados would be. I know you are probably referring to the avocados sold in the states which are probably Haas or similar. Here in Brazil the avocados are much bigger – the size of one’s head. So, therefore I have a hard time determining how much avocado I should use. Maybe 1 1/2 cups? This sounds absolutely delicious and I would love to try it. I, too am a chocolate fiend and this will definitely satisfy that craving. Wow! Never realized avocados could be that large! I think it ended up being about 3-4 cups of diced avocado. Hope you love this! Can you do it with other flavors besides just chocolate? I personally don’t like chocolate but passed it on to friends. Thanks for passing it along Victoria! @Julie I also have type 2 diabetes. I’m not on insulin, only oral medications. Unfortunately, for a diabetic, sugar is sugar. Your body doesn’t see maple syrup and not treat it like a sugar because it is healthier. As far as diet goes, I try to count carbohydrates. (not like an Atkins diet though) It would be helpful if you could find out how many carbs this pudding has per serving to see if it could be included in a diabetic diet. The avocado is definitely a plus due to the healthy fats in it! All the best to your friend! Thanks Colleen! That’s where I’m still fuzzy is even if “good” sugars how it affects a diabetic. She’s very new with this and still trying to get her levels under control so maybe this will be a good treat for her in the future once she’s gotten herself balanced. I appreciate your input and that link will definitely come in handy! Thanks for your comments ladies! Keep in mind, this is NOT a diabetic chocolate pudding recipe, so be sure to do your own research in that regard. Blessings! You rock Colleen! This is why we love our readers so much…so helpful! I’ll also be using the website for nutrition facts in the future. What a nice resource! 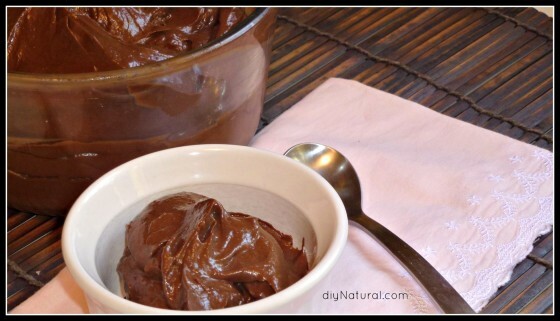 We LOVE chocolate avocado pudding! I’m like you in the sweets department (my husband doesn’t understand) from my daddy’s side, we love all things sweet, but please make it chocolate! My daughter has taken after me with a sweet tooth, and this pudding I don’t mind giving her any time! My recipe is a little simpler, only three ingredients – avocado, chocolate, and agave – blend and eat! I’ll have to try this one some time! Thanks for sharing! Awesome! 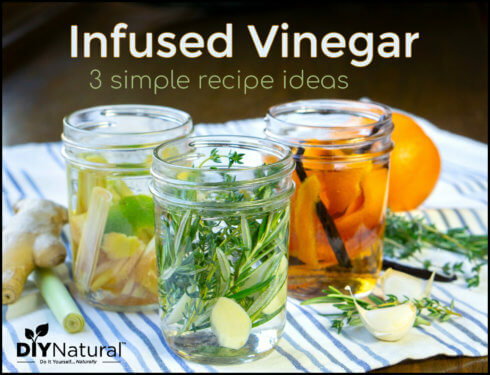 Love your 3 ingredient version!